eLumen is a higher-ed, assessment and curriculum management system. College of Marin will begin implementing it in the fall of 2018 allowing all student assessment progress to be tracked and stored digitally. eLumen has been configured to fit the College Marin’s specific needs and goals. eLUMEN is designed to protect faculty privacy. Only faculty are able to see assessment results for their course and section. They can not view assessment results of any other courses. Staff and administration do not have log in credentials to see any course assessment results. If any faculty need assistance from their division coordinator with scoring, proxy settings are enabled so they will see the coordinators name on the opening log in page, alerting them that this person has access to see their assessment results. 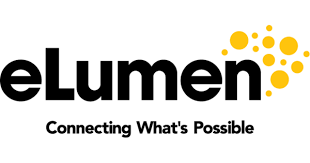 Staff and managers do not have sufficient permission to view instructor courses in the instructional portion of eLumen and likewise, faculty do not have sufficient permission to view context and settings in the non-instructional portion of eLumen.